The U.S. Department of Commerce’s Minority Business Development Agency (MBDA) is awarding $31.5 million in federal funding to 21 grant recipients as part of its MBDA Business Center Program (29). The program is designed to help minority-owned firms create jobs, compete in the global economy and grow their businesses. “For more than 40 years, MBDA has led efforts to support minority firms and provide them with the tools and technical expertise they need to excel. This is the very foundation on which this Agency was founded back in 1969. It’s the core of who we are and what we represent,” said MBDA National Director Alejandra Y. Castillo. “This funding goes far beyond just the monetary aspect. 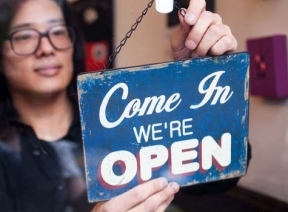 This is a long-term investment in our community and in our nation.” According to data from the U.S. Census Bureau’s 2012 Survey of Business Owners, minority-owned firms in the U.S. increased from 5.8 million in 2007 to 8 million in 2012, and employed 7.2 million people in 2012. Since 2009, MBDA Business Centers have assisted minority firms with gaining access to more than $31 billion in capital and contracts, while creating and retaining nearly 142,000 jobs. Among the 21 grant recipients is Chicago Minority Supplier Development Council, Inc., ($312,750) to operate the MBDA Business Center in Chicago.